As a Toronto wedding photographer, I am often asked editing related questions. Do you edit your photos? How many photos do you edit? Can I have my face airbrushed? Can you remove this birthmark? Can you make me skinnier? Can you Photoshop that? Can you make me look like Cindy Crawford? I will answer all those questions and more in this article so keep reading. Editing is a crucial phase of the workflow of any photographer, and while it's not magic and is not meant to fix bad photography, it can push a beautiful image to new heights. The truth is that about 60% of the final image is created in camera. Good lighting, composition, emotions are essential components of a visual masterpiece. Still, editing can add another 40% to bring the image close to perfection. While there are purists that consider that photography should be created in camera and I agree with them, in my opinion, weddings are a dream. The brides buy expensive white dresses, hire makeup artists, go on diet for months to look perfect on the best day of their life. Everything from hair and makeup to photography should be perfect! Who am I, to ruin their memories by not editing the photos? As such, to deliver my clients the best wedding photography possible, I'm willing to enhance their already amazing pictures in post processing as long as they look natural. One of the most misused words is editing and everybody has a different understanding of what it means. Let's take a closer look at this. There are multiple levels of editing in photography. At the basic level, selecting the best images from the wedding is considered editing. There are many photographers that deliver those images to their clients without further processing. In the industry, we call them shoot and burn photographers. The second level of editing is processing the images in a software such as Lightroom or Adobe Camera Raw. Colour and exposure correction are the first steps when editing in the above-mentioned software. The third level of editing is achieved by processing the images in Photoshop. Even more, when your wedding photos have the potential to win awards or to be published, wedding photographers go through an even more rigorous Photoshop editing (level four). I also consider beauty retouching as level IV editing. In conclusion, a bride should ask more detailed questions about post production, not only if the photographer edits the images. The level of editing is a direct cost and influences the prices charged by Toronto wedding photographers. What Manipulations Can Be Done in Post Processing? While minor alterations can be done in post-production, one of the biggest misconceptions is that everything can be fixed in Photoshop with a few mouse clicks. Wrong! While Photoshop is a very powerful tool, retouching an image can easily take a few hours. Still, what kind of digital manipulation can we do in post production? Level I: selecting the best pictures is relatively simple, though time-consuming. Level II: correcting the white balance, exposure, adding grain, a vignette and removing minor blemishes are operations that don't take a long time. Level III: Photoshop gives photographers a high level of control but takes a lot of time. Yes, we can make your arms look slimmer and trim your waistline, increase your bust size but all the above take a long time. Level IV: beauty retouching is an art in itself done by professional retouchers so it is extremely time-consuming and costly. Here is where you can get rid of any marks, wrinkles, objects in the background, your sisters ex-boyfriend and so on, but again it comes at a high cost. A much better option is to shoot it right. For a perfect skin, it is easier to hire a makeup artist that will make your beautiful skin flawless at a fraction of the cost of beauty retouching. Finally, can we add dinosaurs, superheroes and so on in Photoshop? While it can technically be done, I am not a big fan of that because it is extremely costly and subject to copyright. Post processing is one of the most time-consuming phases of wedding photography when done properly. Most Toronto wedding photographers, unfortunately, stop at level II. I know successful studios that spend one to two hours editing a whole wedding while allocating half a day to self-serving activities such as blogging, posting to social media and so on. While processing the images adds the most value to the client. Unfortunately, it is given the lowest priority. Why? Properly editing a wedding can take up to three weeks and often the client does not notice the difference. On average, post processing takes 3 to 5 times the amount of time it took the photographer to capture the images. The higher the level of editing, the more time-consuming. That is also a reason why most photographers limit the number of images delivered to their clients. If a photographer promises unlimited photos, she will typically not edit them. 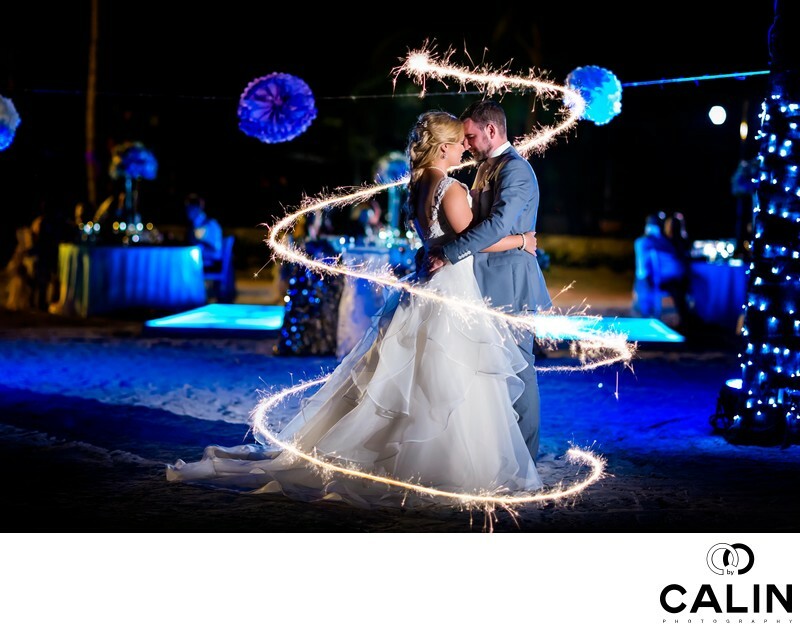 The best wedding photographers will deliver 500 to 600 images per wedding and you will love every single one of them. Many studios outsource post processing, which is a mistake. Every day I receive solicitations from Asian-based companies that promise low prices. While the cost savings would be significant, outsourcing would damage the quality of my clients' wedding pictures and in the long run, ruin my brand. The Golden Rule of post processing is that a wedding photographer should edit an image at its intended print size. In other words, if a couple wants to print 20" x 30" canvasses, the photographer should edit the images on a monitor of that size (or zoom in). I have clients who asked me for all their pictures to be printable in a 20" x 30" format and I had to give them a custom quote. It takes significantly longer to edit images in a large-format and the price should reflect that. It is a known fact that cameras record the images in a similar manner regardless if you shoot Nikon, Canon, Sony or Fuji. Editing on the other hand, allows the photographer to differentiate himself from the crowd. Post processing is an art and photographers learn it over time. These days, a professional wedding photographer should be able not only to shoot great images but also enhance them in post production. The multiple settings in Lightroom and Photoshop create a distinguishable look that identifies a photographer's portfolio. The best wedding photographers in the world developed such unique looks that only by seeing an image you can tell immediately if it's a Yervant, a Jerry Ghionis or Ryan Schembri. In conclusion, editing is a powerful phase in the quest for a perfect wedding photo, but is not magical. And NO, even I can not make you look like Cindy Crawford, but we can get darn close.